Your can personalise your email signature that appears at the foot of each of the outbound emails you send from your User account. 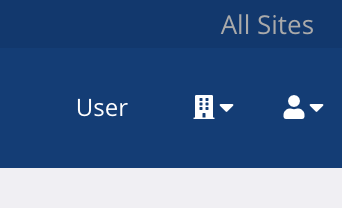 ...and for non-Administrators, via the User menu. ...while non-administrator users will only have access to their own user account and so are taken immediately to their user account page, where they can click to Edit their user account and make changes to their own signature. When editing your signature you have a range of options to control the formatting - e.g. Bold, Italics, Underline, font colour, font size and font name. 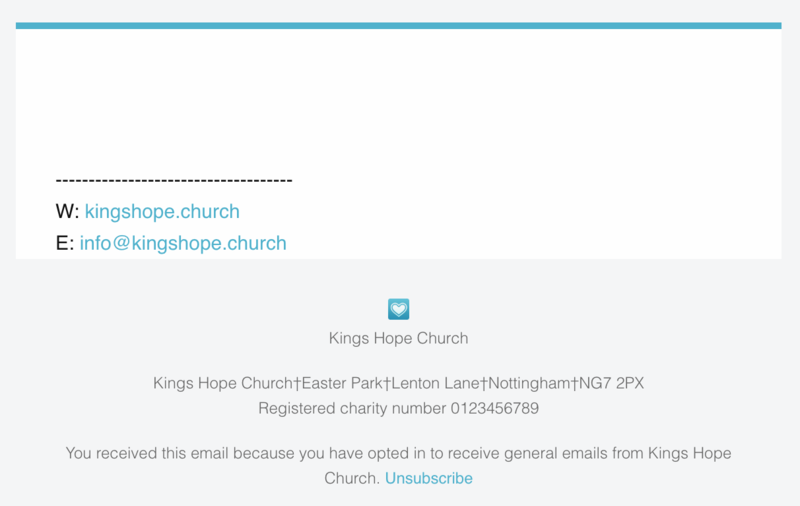 You can also embed images and links in your signature, perhaps linking to your church's website or social media pages; or maybe to your church's Data Protection privacy notice. Click Save Changes before navigating away from the page. 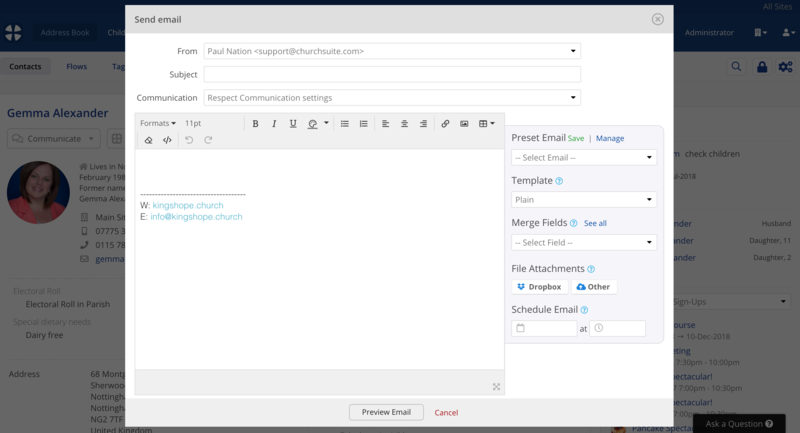 When sending emails through ChurchSuite, your user profile is used the default sender. Having added a signature to a user account that signature will now be auto-inserted into the email "compose" modal, although you can clear the signature from an individual email if you wish. 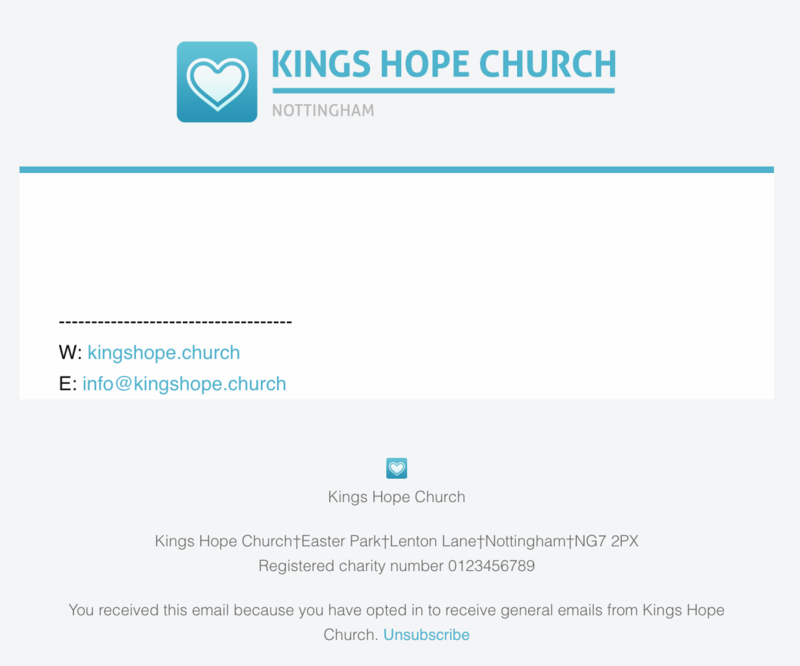 Email signatures add a professional touch to your Plain template emails; however you may prefer to use the Branded or Slimline Templates we provide (from the Template drop-down menu), which will format your emails using your church's branding (the logo, emblem and style colour set in "Administrator" > "Profile"). Plain template example with signature..